Director of Fundraising & Communication, Ross, shares a memorable moment 10 years ago, and explores today's need to reach out to every missing child and help bring them home. The words no family with a missing loved one wants to hear; anniversaries normally mark moments of celebration, joy and happiness. For families the charity Missing People supports, the day they last saw their loved one can become anniversaries of remembrance. Stark reminders of lost years. A void that person leaves in their lives. Moments to reflect on the good times they shared. As you read this, thousands of desperate families across the UK live without a missing loved one. 10 years ago I was returning from a family wedding in Bulgaria. It was a time when my mobile didn’t have internet access nor roaming. I remember stepping off the EasyJet plane to a flood of voice messages. Something had happened. In my role at the charity it wasn’t unusual for a journalist to call me at a weekend to ask about the issue or the charity’s good work. It was very rare to have been contacted 108 times in 24 hours. Madeleine disappeared on the 3rd May 2007. A child reported missing. A daughter, a sister, a cousin, a niece and a friend. Her parents distraught. A nation coming together in wanting to help find Madeleine. 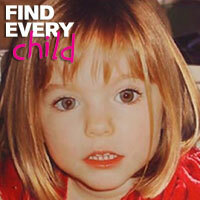 10 years on and that hope in finding Madeleine remains. People continue to want to help and to hold Madeleine in their thoughts. People often ask me ‘why does Madeleine’s disappearance get so much coverage?’. Madeleine was younger than most missing children – the majority are 13-17 years old. Most, thankfully, are found safe and well within 48 hours. The bank holiday had created a lull in other media stories. It was a family holiday abroad. Does every missing child need the same level of attention? Yes and no. Large scale publicity can sometimes be needed. It can also be detrimental in other scenarios. Do we want every missing person to be missed and cared for by the public? Absolutely. Every child that goes missing – every adult too – deserves our care and energy to find them. Their families deserve compassion and hope. The charity is non-judgemental, our focus is the safety of the missing person. We help families through the dark times on their journey of ‘not knowing’. And we create a safe space for the children who go, or are taken. We provide adults a vital way of getting a message home. We help some of the most vulnerable people in our society. But we face some big challenges. Our crisis team is stretched to capacity. The police have less and less resources to help children reported missing. No missing child should be forgotten or failed by our society. If we aren’t there for them, who will be? If, like me, you feel that every child is important I urge you to join our movement to Find Every Child. Text SAFE to 70660 to give £3 a month from your phone. Each month you will help another missing child in crisis. Each month you will get that glow of knowing your care is felt by families facing the toughest time of their lives. Join Missing People subscription program for £3 per month. Charity receives 100%. This is a subscription service, it will cost £3 per month until you reply with a "STOP" text. Customer care 02083924571.